Cloud service providers are the new jewelry traders in the business world. With the demand for cloud services expected to reach $52 billion in 2019, the growth of cloud services providers can only be expected to escalate. Cloud service providers, after all, provide exceptional business opportunities for small businesses. Cloud platforms such as Amazon Web Services (AWS) and Microsoft’s Azure allow businesses the leverage of increased data accessibility, storage, and flexibility to achieve substantial cost efficiencies and competitive advantages. 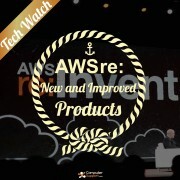 With AWS achieving nearly 17% operating profit margin in its first quarter, it is evident that cloud-based web applications are the new oil for businesses. With the growing importance of developments such as ‘Big Data’ on the rise, it is only a matter of time until the majority of organizations demand greater functionalities and storage capacities to process and store large data sets. 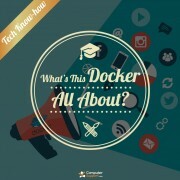 Hosted cloud-based file systems are a new development in cloud services. AWS’ soon-to-be launched ‘Elastic File Transfer’(EFS) file storage service is expected to be a game changer. Microsoft’s Azure’s preview launch of its Azure File Service last year is also another. These cloud-based file storage service systems are designed to meet the growing needs for Big Data applications and other needs. There are many reasons as to why cloud-based file systems are beneficial for businesses. A notable advantage contributing to the explosive rise in demand for cloud computing services in general, is the cost advantage. With cloud-based file sharing systems, this is still a major benefit for companies. 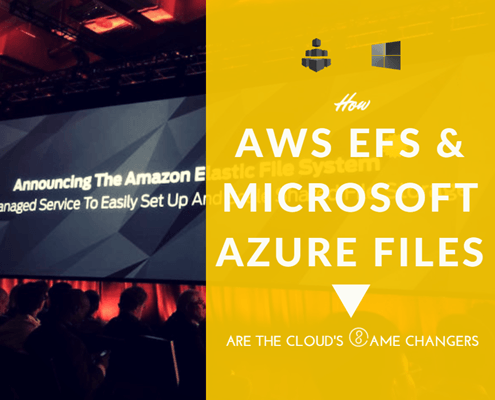 The EFS system of AWS allows companies to configure its files with great speed at no setup cost or fees. Companies only pay for storage that is utilized and which grows and shrinks according to the files added or removed. 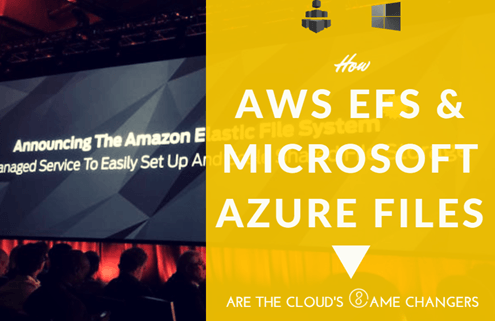 The EFS system of AWS allows companies to configure its files with GREAT SPEED at NO setup COST. This is equally important for Big Data applications that involve managing data sets in petabytes and exabytes. Companies that have to store raw data of such significant size can easily store and share data using cloud-based file systems. Another added advantage of using cloud for data sharing and storage is the fact that companies can work without using their VPNs or file servers. In addition to the benefit of workers being able to access data remotely, this eliminates the costly setup and maintenance costs for keeping their company file servers operational. This also makes it easier to expand their operations to multiple cities or even countries as all file sharing and storage can now be done online via the cloud; on-premises file servers no longer need to be set up and maintained. Cloud-based file sharing systems can provide better security as only those with authorization can gain access to a company’s files and data. AWS’ EFS for instance, allows businesses to configure authorization access controls via the Amazon VPC (Virtual Private Cloud). Through this, a host of access permission can be written and executed and confidential files and data can be protected according to the highest security standards. Security at the administration level is provided via the AWS IAM (Identity and Access Management) module and also at the file and directory level, ensuring better data security and protection against malicious software. The Azure File Service launched last year is already capable of leveraging scalable data to companies along with durability and efficiency. Although the EFS is expected to be released this summer, it will be interesting to see how Microsoft responds to Amazon’s offering and how the escalating competitions shapes the cloud services landscape.